Brian Kluge is a sculptor in the Madison, Wisconsin area. He earned a Bachelor of Science degree in art education from the University of Wisconsin – Madison and a Master of Fine Arts degree from the University of Nebraska – Lincoln. Kluge also served as a U.S. Peace Corps volunteer in sub-Saharan Africa. This influential experience contributed a great deal to the unique aesthetic sensibility in his work. 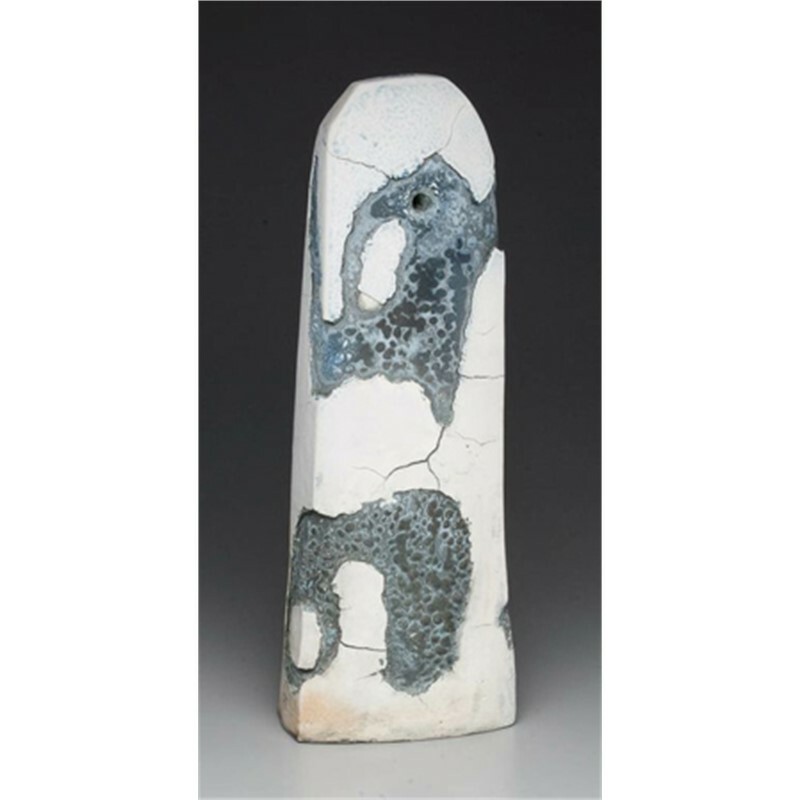 Kluge has taught ceramics as an adjunct faculty member at the University of Nebraska – Lincoln and Doane College. He was featured as a 2012 emerging talent in Ceramics Monthly and recently completed residencies at the LUX Center for the Arts and the Roswell Artist-in-Residence Program. He is currently acting in the capacity of regional liaison for NCECA planning and related projects in the Madison area in preparation for the 2014 Conference. 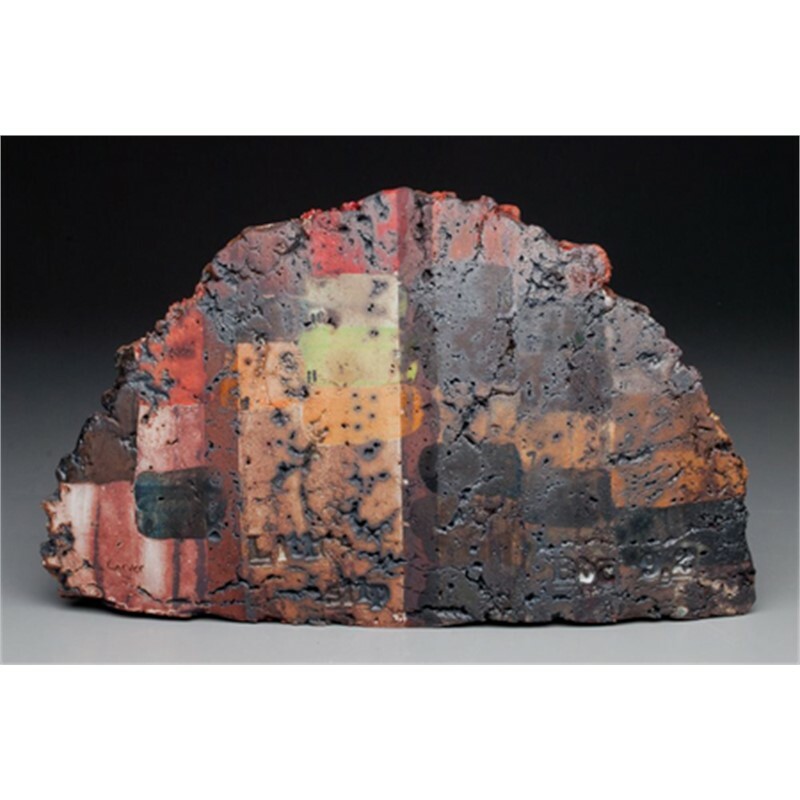 Kluge continues to show work nationally, most recently in a two-person exhibition at Santa Fe Clay, a solo exhibition at the Roswell Museum and Art Center, as well as numerous juried and invitational exhibitions including the Las Cruces Museum of Art, Pottery Northwest, Texas A&M International University, and the University of Tulsa. I have come to notice that there exist certain predispositions that we share as human beings. These preferences run deeper than cultural values and social norms, operating at a subconscious level to shape some of the fundamental aspects of human experience. My current bodies of work reflect an ongoing exploration of some of these predilections. In this work I am dealing primarily with archetypal geometric forms, chance occurrence, a palette of ‘basic color’, and an allusion to artifacts. In my practice, I press clay into a variety of molds to produce simple geometric forms. Through this working process I am able to achieve a deep surface texture that reveals materiality and process while maintaining forms with precise geometry. I primarily employ variations of spheres and cubes, both in whole and in fragment as a starting point for my work. I am attracted to these forms because the possibility for meaning is open-ended and because of their minimal simplicity. My color palette consists of red, yellow, green, and blue. These colors are the core of a color theory I refer to as basic color. Over time I have noticed they make up the predominant colors in the designed world—children’s goods are a prime example of this—and I believe they strike an emotional resonance. In addition to these colors I use variations of white and the dark brown of my clay body. I have formulated this clay to fire to a rich, purplish brown that blackens at the edges of the form. The unique look of this fired clay is meant to emulate the freshness found in wetter stages of the clay as well as to provide me with the energy savings of a once-fired finished surface. The areas of white are produced with terra sigillata, either to attract attention to certain aspects of the form or as a base layer for brighter colors. Though often used in monochromatic swatches, the areas of color contain a great deal of variation and tend to look weathered due to my application process. This aids the visual allusion to artifact. Similar to an artifact, my sculptural objects convey a sense of familiarity in fabrication—a human being made this—while retaining an overall sense of mystery concerning time or place. It is my intention to leave the narrative possibilities unformed in order to heighten a strictly sensory experience of the object or installation. Ultimately, I am engrossed in the ability of the understated, quiet object to engage subconscious triggers. In this way I intend for my work to invite a surprising moment of introspection, emotional response, and discovery. Brian Kluge is a sculptor in the Madison, Wisconsin area. He earned a Bachelor of Science degree in art education from the University of Wisconsin – Madison and a Master of Fine Arts degree from the University of Nebraska – Lincoln. Kluge also served as a U.S. Peace Corps volunteer in sub-Saharan Africa. This influential experience contributed a great deal to the unique aesthetic sensibility in his work. Kluge has taught ceramics as an adjunct faculty member at the University of Nebraska – Lincoln and Doane College. He was featured as a 2012 emerging talent in Ceramics Monthly and recently completed residencies at the LUX Center for the Arts and the Roswell Artist-in-Residence Program. He is currently acting in the capacity of regional liaison for NCECA planning and related projects in the Madison area in preparation for the 2014 Conference. Kluge continues to show work nationally, most recently in a two-person exhibition at Santa Fe Clay, a solo exhibition at the Roswell Museum and Art Center, as well as numerous juried and invitational exhibitions including the Las Cruces Museum of Art, Pottery Northwest, Texas A&M International University, and the University of Tulsa. Statement I have come to notice that there exist certain predispositions that we share as human beings. These preferences run deeper than cultural values and social norms, operating at a subconscious level to shape some of the fundamental aspects of human experience. My current bodies of work reflect an ongoing exploration of some of these predilections. In this work I am dealing primarily with archetypal geometric forms, chance occurrence, a palette of ‘basic color’, and an allusion to artifacts. In my practice, I press clay into a variety of molds to produce simple geometric forms. Through this working process I am able to achieve a deep surface texture that reveals materiality and process while maintaining forms with precise geometry. I primarily employ variations of spheres and cubes, both in whole and in fragment as a starting point for my work. I am attracted to these forms because the possibility for meaning is open-ended and because of their minimal simplicity. My color palette consists of red, yellow, green, and blue. These colors are the core of a color theory I refer to as basic color. Over time I have noticed they make up the predominant colors in the designed world—children’s goods are a prime example of this—and I believe they strike an emotional resonance. In addition to these colors I use variations of white and the dark brown of my clay body. I have formulated this clay to fire to a rich, purplish brown that blackens at the edges of the form. The unique look of this fired clay is meant to emulate the freshness found in wetter stages of the clay as well as to provide me with the energy savings of a once-fired finished surface. The areas of white are produced with terra sigillata, either to attract attention to certain aspects of the form or as a base layer for brighter colors. Though often used in monochromatic swatches, the areas of color contain a great deal of variation and tend to look weathered due to my application process. This aids the visual allusion to artifact. Similar to an artifact, my sculptural objects convey a sense of familiarity in fabrication—a human being made this—while retaining an overall sense of mystery concerning time or place. It is my intention to leave the narrative possibilities unformed in order to heighten a strictly sensory experience of the object or installation. Ultimately, I am engrossed in the ability of the understated, quiet object to engage subconscious triggers. In this way I intend for my work to invite a surprising moment of introspection, emotional response, and discovery.